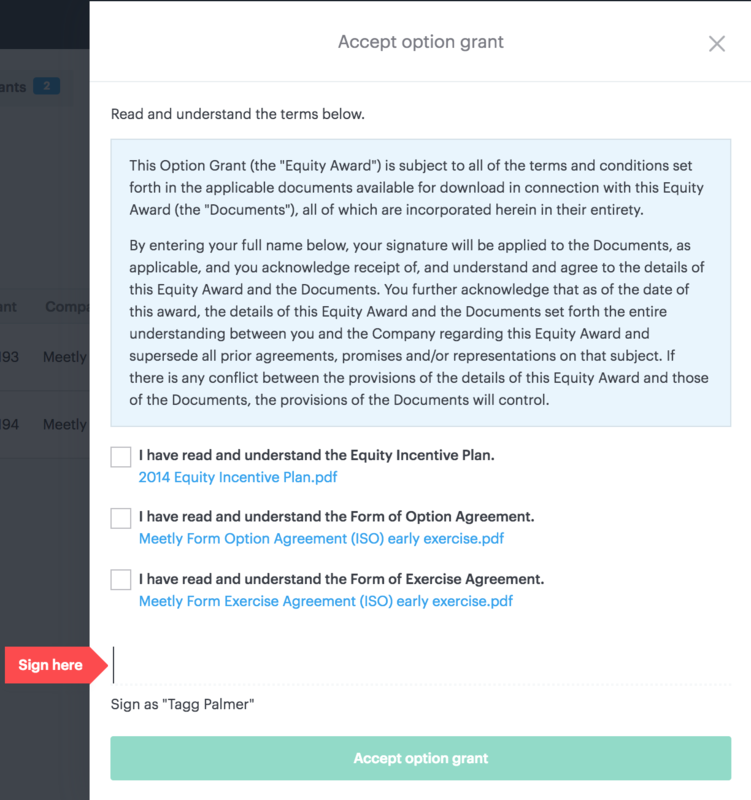 When a company issues you an Option Grant, you will receive an email notification that includes the option number in the subject line. 1. 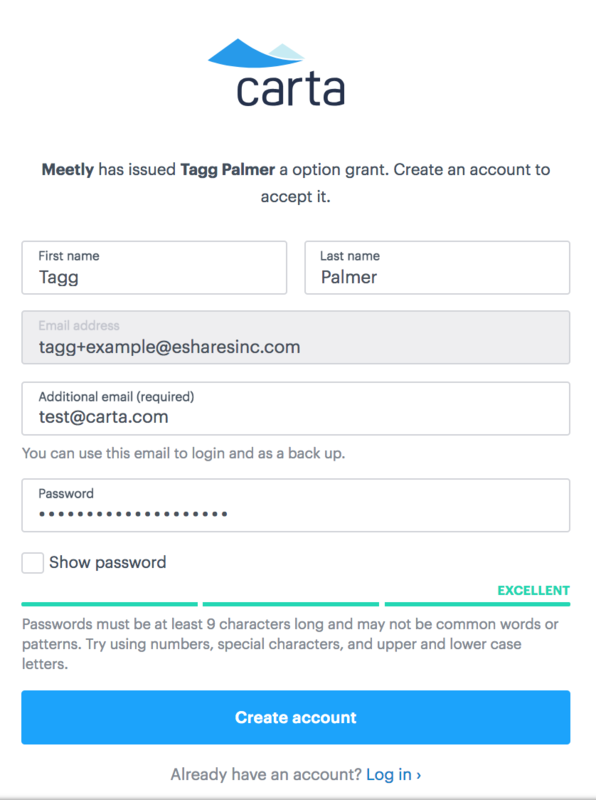 If you do not have a Carta account, when you click on "Accept on Carta" a tab will open with the registration page. Your email address will be pre-filled and you will be required to enter a secondary email and create a password. For our password requirements, please refer to this article. Note: You will receive an activation link on your secondary email and will be required to activate before you can use it to log in. 2. Once you are logged in, review all the information and click on the "Accept" green button. Congratulations! You have accepted your security. 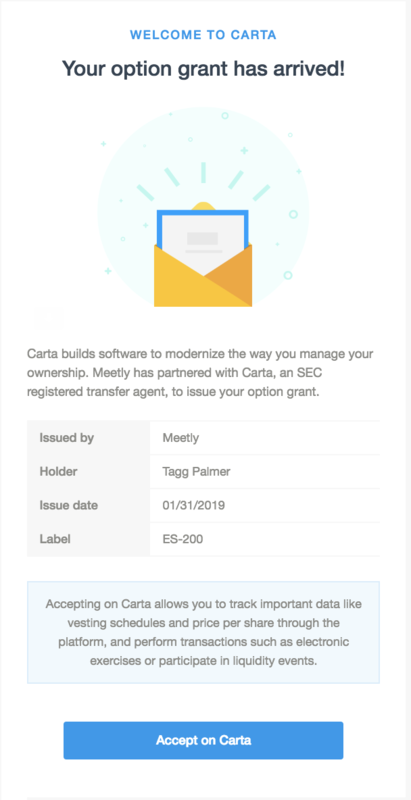 From now on, you can log into your Carta account at any time to review it. Recommended browsers for optimal performance are Google Chrome, Safari, and Firefox.